“No problem,” responded by four of us in the typical polite Japanese styles, “we have plenty of time” Actually, though, we really could not control our desire for the fish that was maybe the most delicious fish we have ever eaten. It is an average day in June, and still in the mouldy rainy season. The fish shop is not so crowded as we had expected, so it is easy for us to have a relaxed talk with the fisherman. The young gun received us warmly, he owns a classic fisherman’s face of and a skillful fisherman’s hand which quickly cut the whole fresh fish into two big pieces in a few minutes and earned our applause. Of course he is an experienced fisherman. He explained that his family had been doing this job ever since his grandfather. 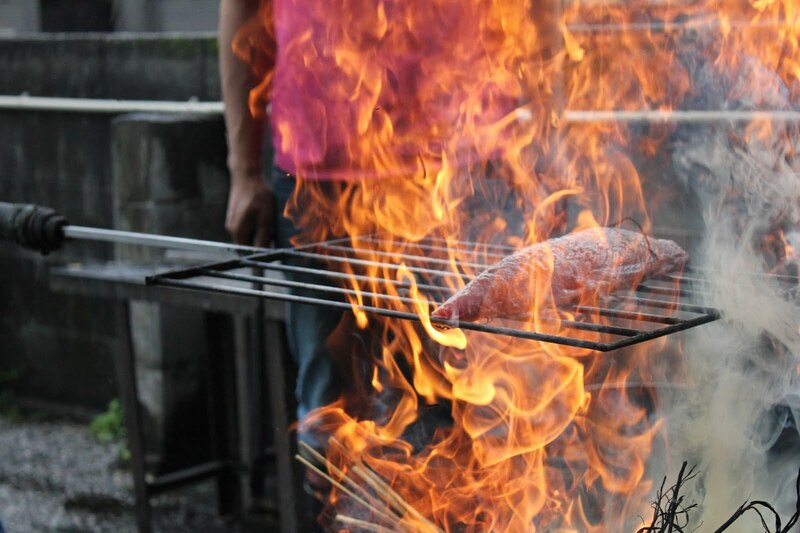 Under the man’s guidance we roast the katsuo smoothly within 10 minutes we start to enjoy the meal. His answer was unexpected. The fisherman did not look hopeful. On the contrary, he give us a reality situation that we should not avoid . “In the future katsuo will become less and less until one day it will not be able for people to eat .” The expression is firm during his speaking and it seems to be that he really wants everybody understands this fact. When I ask my classmates at Kochi university and other local residents what they associate with Kochi, they invariably answer “katsuo”. 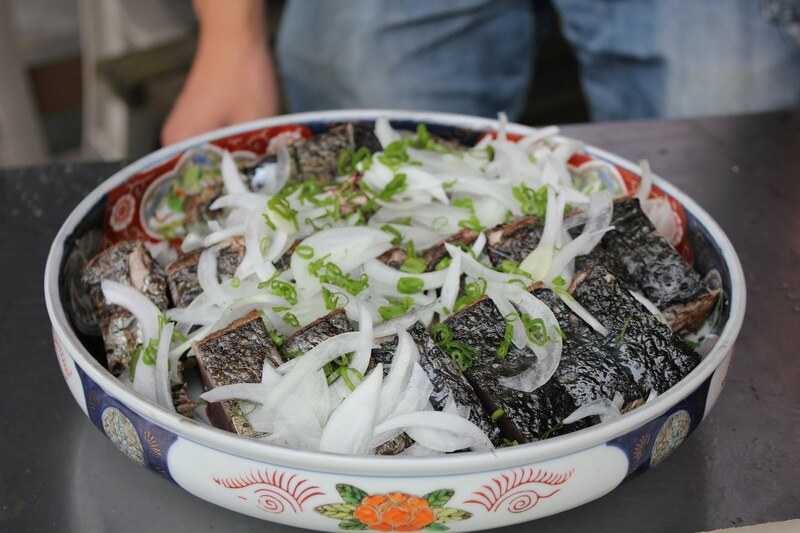 In the whole Japanese nation there is no place that is more fond of katsuo than Kochi. Just have a look at one of the mascots of this town. When the katsuo “Yuru-kyara” gives you a hug, won’t you be surprised! 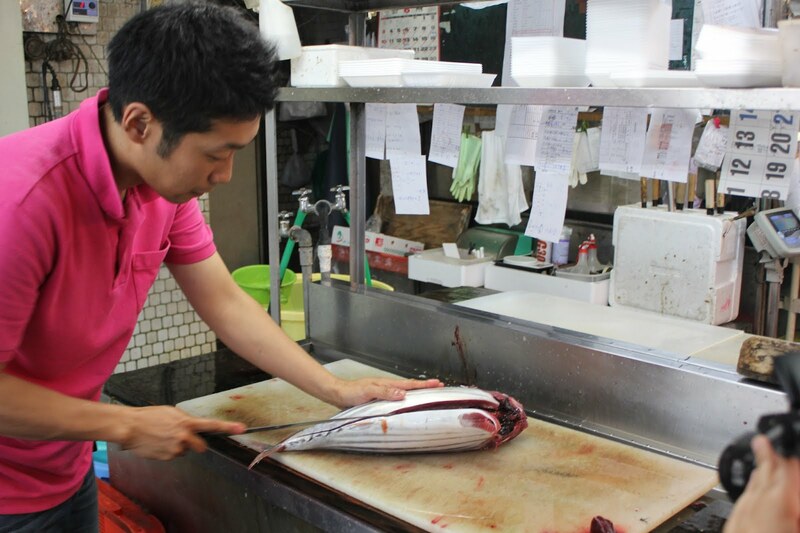 But hidden behind the katsuo industry’s prosperity is a looming crisis. The amount of katsuo caught by Japanese fishermen is decreasing year by year. That is really a big problem. The crashing of fish stocks can’t just be blamed on foreign countries, though. Beginning in 1960s, the Japanese economy stepped into a growth period and the demand for the land increased rapidly. People started marine land reclamation. And in places like Isahaya, which is called the uterus of the ariake sea, has also been in serious trouble. We don’t need to worry about that katsuo will disappear soon in future but we have to worry that as with the price growth developed. For residents in Kochi, katsuo will change from a common food which can be bought in the supermarket to a kind of luxury food which can be only eaten at the high level hotel. “In the future, if you want to eat katsuo, the only choice will be to go to Hawaii not kochi”bHe said it just liking taking about a joke. Everybody laughed with a nervously. But there is another reason for worry that is often ignored: the world is changing and the world’seating habits are changing with them. In the past, Europeans, Americans, Chinese and Indian people refused to eat sashimi. But as the global economy developed, people in those areas have started to accept raw fish. People in America and Europe are in trouble with their obesity caused by the unhealthy diet so they look for fish to improve the situation. As a consequence, the fishing fleets have increased and the fish stocks decreased. At last when the fish man was asked about his future plan if katsuo disappear, he said “we have no idea but to choice other fish.” I couldn’t help wondering if that is really useful. Our time is up and we need to go,when we separated, we turn back to have a look at the fisherman’s figure ,he was still standing there showing his strong professional spirit .And we wondered after 5 years or after ten years ,do this gun still have the opportunity to sell the fish with his professional smile? It’s sad to hear that the katsuo’s population is getting lesser and if that happened, we cannot eat katsuo, especially Kochi’s famous cuisine katsuo tataki anymore! The fisherman really has a strong determination. I’m really moved with his story. The fisherman really has a strong determination. I’m really moved with this story. The problem of the decrease in catch of Katsuo has been broadcasting as a serious one in Japan. Though we may be not get it for eating in the future, we don’t realize that because we have got it. Your article is really beneficial to read. I love Katsuo! Also, many people like this too. People need Katsuo, but number of Katsuo is decrease. It is really serious problem. We should think more about our environment. Anyway,I was happy to make Katsuo tataki with you and our classmates. Villa, thank you for your very informative essay on katsuo. It is a serious problem, not only for Japan, but for many other nations in Asai: the collapse of fish stocks. I hope people in Japan are aware of this as it will seriously affect the way people eat and live here. I enjoyed reading this and I hope other people get the chance to read your story as well.